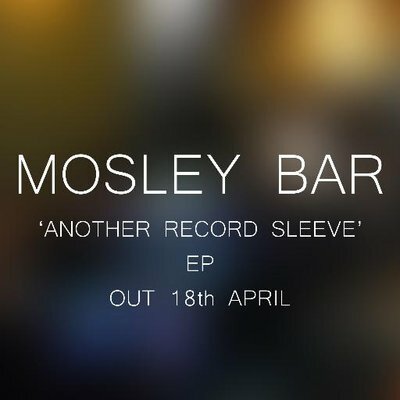 Hailing from the north-west of England, Mosley Bar are a four-piece indie alternative rock unit. This EP ‘Another Record Sleeve’ is their debut and a really great effort it is too. When you really want to get your sound out there to show what you can do and what you’re about with only four tracks, then this is how you do it! The opener ‘Risk’ kicks things off with an intro reminding me off ‘Hard-Fi’ of ten years ago or more. Their influences and style have a foundation varying from punk to rock and it’s no surprise considering where they’re from. But they are bringing it, they are authentic and contemporary and they have a great sound to direct themselves away from competition. ‘Risk’ doesn’t mess about, it’s straight in there, in your face and they had my attention. Next track ‘Record Sleeve’ takes the tempo down but doesn’t steer away from the selling point. It carries a strong arrangement musically and vocally. It’s like a second introduction and is placed well in the track listing. Tracks 3 and 4 ‘Rendezvous’ and ‘The World and I’ are sure and steady in their style and range. They haven’t strayed from what they’re showing us. Lead vocalist Ryan Ward is solid with his deliveries on each track. Overall the EP is very well produced and controlled. They are very organised with their musical and vocal arrangements. I really like their lyrics and interpretations of what they’re singing about. They’re making statements but they’re not loud or angry. They have an edge and more to give and I’m looking forward to hearing more from them. It’s a perfect little collection of rock and rhythm, with a high feel good factor and radio-ready tracks. Below are the links where you can view their videos for ‘Risk’ and ‘Record Sleeve’ and their EP is on Spotify and Soundcloud. Follow them on twitter for news and gig announcements.